Tales from a tribble: Now Who's Pushing Granny Off The Cliff? Now Who's Pushing Granny Off The Cliff? 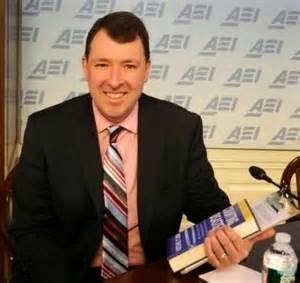 Marc A Thiessen, former speech writer for George W. Bush and columnist for The Washington Post and AEI, was on "The Kelly File", hosted by Megyn Kelly on the Fox News Channel Monday night. Megyn and Mark were talking about how the Democrats have become unhinged ever since the great New York Times statistics guru, Nate Silver [of the Five Thirty Eight blog] has predicted on Sunday that the Republicans have a 60% chance of winning the US Senate in November. Megyn Kelly said before this prediction the Democrats were literally crowing about how great a predictor Nate Silver was, and ever since he came out with a prediction favoring the Republicans, it is "Nate who?" from the Democrats. Marc Thiessen pointed out how the Democrats had used an ad for the 2012 elections, showing congressman Paul Ryan, R-WI, pushing "granny" off the cliff. What they were doing was saying Paul Ryan, the chairman of the budget committee in the House, was proposing medicare budget cuts that would hurt elderly people [which he was not doing, but the Democrats never let the facts get in way of their rhetoric]. In fact it is Obamacare that will actually cut medicare payments to providers [which in turn will hurt "granny"], but that little fact is overlooked by the liberals. Then Mr. Thiessen made a great point that should be used on every RNC ad, not just in 2014 but 2016 to counter the Democrats accusing the Republicans of a war on women. He [and Megyn Kelly] said the Democrats, because they are in a panic over Nate Silver's prediction, are pleading for 81 year old liberal Supreme Court Justice Ruth Bader Ginsburg to retire from the court now, before the elections in November, to give president Obama a chance to nominate a new younger liberal justice to the court before the Republicans have enough members to block their nomination. So, he asked, now who is pushing granny off the cliff? I guess that means the Democrats care about granny, unless of course, that granny is a liberal Supreme Court Justice. Then they want to give her a little friendly nudge while she is looking over the cliff. Boy would I love to see the GOP use the exact same video the Democrats used of Paul Ryan pushing granny in the wheel chair off the cliff and put Ruth Bader Ginsburg in that wheel chair with the Democrats hands on the wheel chair doing the pushing. Watch your back Justice Ginsburg, the Democrats think you are too old for their liking.